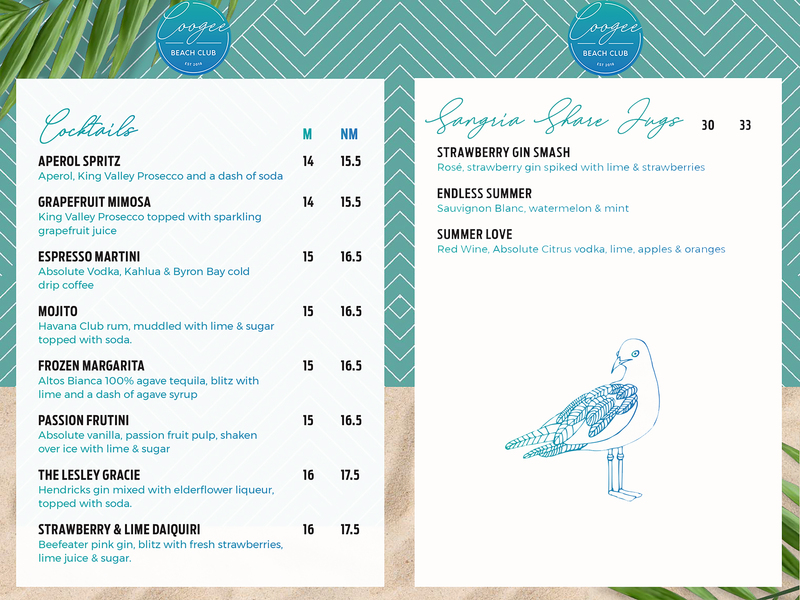 The Coogee Beach Club prides itself on an affordable drinks menu that is also unique. We got you covered whether it’s a day of Cocktails and Arancini Balls or Barefoot Bowls and Beers. We encourage our guests to become members of the Coogee Beach Club as discounts for most drinks are on offer. As a membership is only $5.50 you can quickly get a return and save on a drink at the Beach Club.